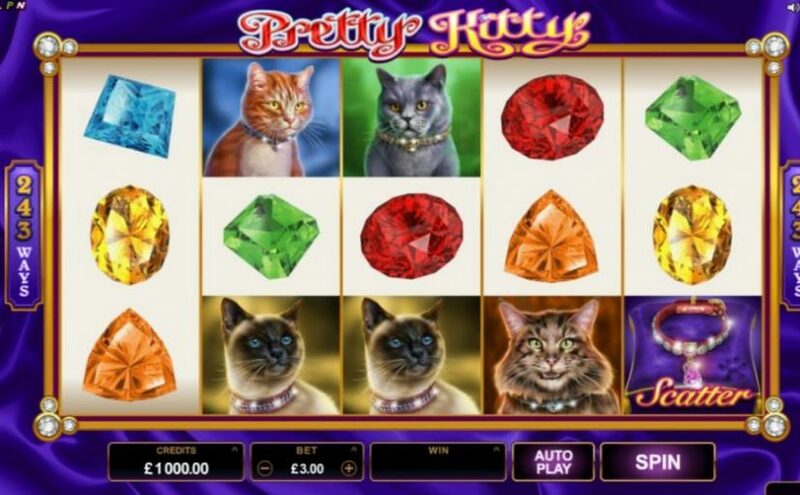 Come in and spin the reels of this cat-themed 5 x 3 reel, 243-way game powered by Microgaming. Prepare to live in the lap of luxury. With minimum bets of 0.30 and fantastic wins up to 70 000.00 you will surely be clawing for more! The game also adds a touch of class to the traditional Stacked Symbol feature, adding Expanding Symbols to it’s list of additions. In both the Base Game, and during Free Spins, when a full stack of High Symbols appears on Reel 1, all other matching High Symbols contributing to a win will expand to fill the Reel entirely. The Free Spins round is triggered when 3+ scattered Diamond Collars appear in any position on the reels. Players will also find themselves gaining Stacked Wild Symbols on Reel 1 and Wild Symbol expansions to go along with their 15 Free Spins. The Free Spins round can also be re-triggered.